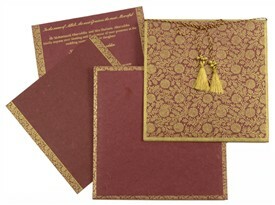 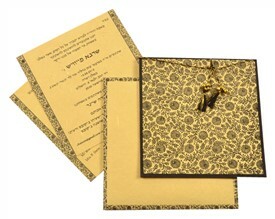 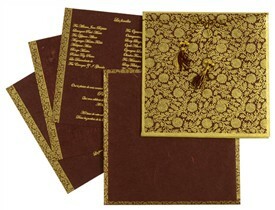 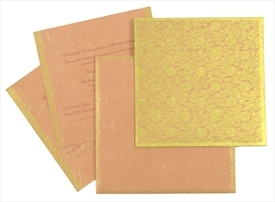 D-188m, Yellow Color, Handmade Paper, Small Size Cards, Designer Multifaith Invitations. The organic intensity and the classic design of the card is the main catch that makes this a classic docket card design. 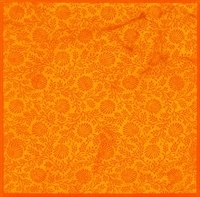 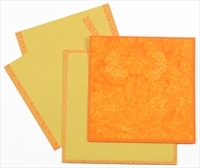 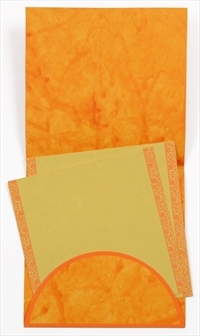 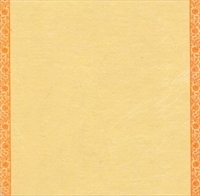 This Muslim card in dark orange colored handmade tie & dye paper has front with light orange colored border and an overall floral image ground in the same color. 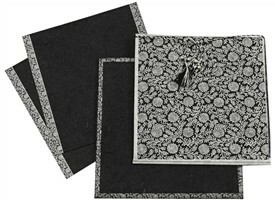 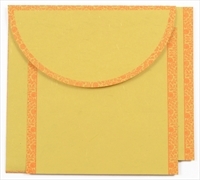 The docket flap has line borders and the cream-colored handmade silk paper inserts have floral print strip borders. 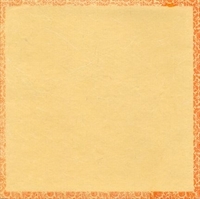 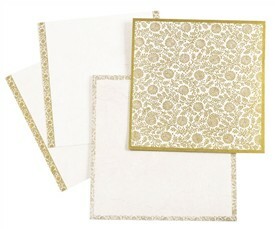 The cream-colored handmade silk paper envelope follows a similar pattern.